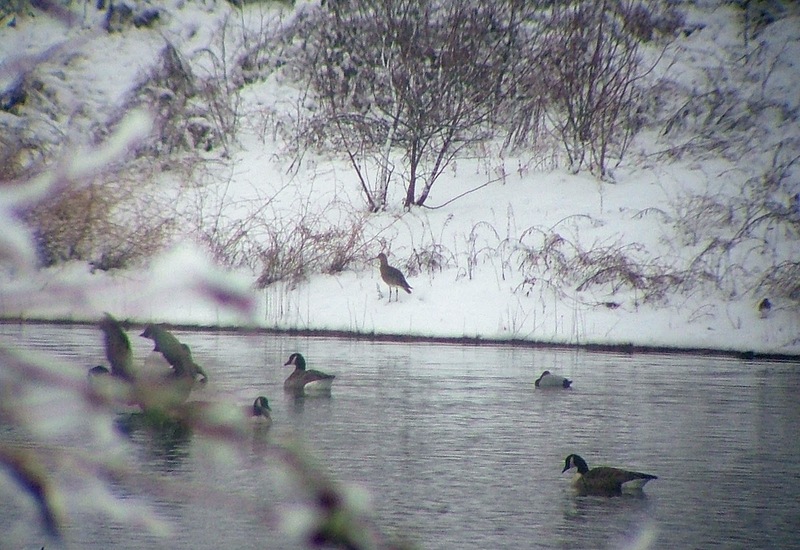 The snow came down overnight so this morning was definitely a day for birding. 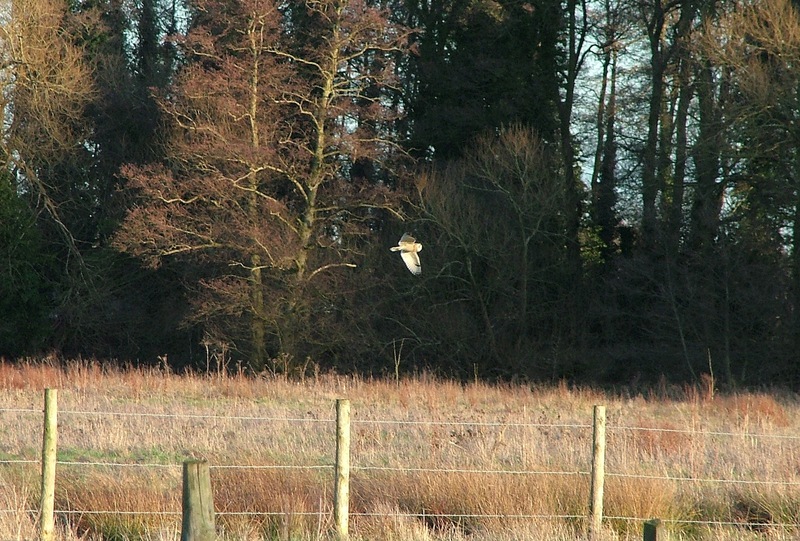 I hadn’t been out much lately after seeing the Hawfinch at Bookham Common a couple of weeks ago, followed by four Short-eared Owls at Papercourt Water Meadows the following day (I still haven’t managed to get a half-decent photo of one of these owls. Digiscoping moving objects really doesn’t work for me). There was plenty of blue sky and sunshine on Thursday afternoon for a stroll around Holmethorpe Sand Pits, but a biting wind - that threatened to burn your face off - took the edge of it somewhat. I haven't paid enough attention to my local patch in recent months and it was high time I made amends. Holmethorpe is a particularly good site for birds during the winter months, being a hot-spot for Smew, and the Sand Pits often gets other unusual visitors. While out for this brief visit, I saw a couple of Pintails, a Goldeneye and a Wigeon at Mercer's West, but at Mercer’s Lake I noticed a small wader drop down by the water’s edge near the Yacht Club. It was out of sight so I walked round by Mercer's Lake car park and got a better view just before it flew down very close to me. 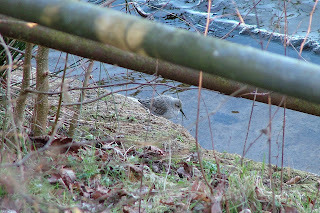 It was a Dunlin. This was my first ‘patch first for the year’ since seeing a Black Tern during the summer. 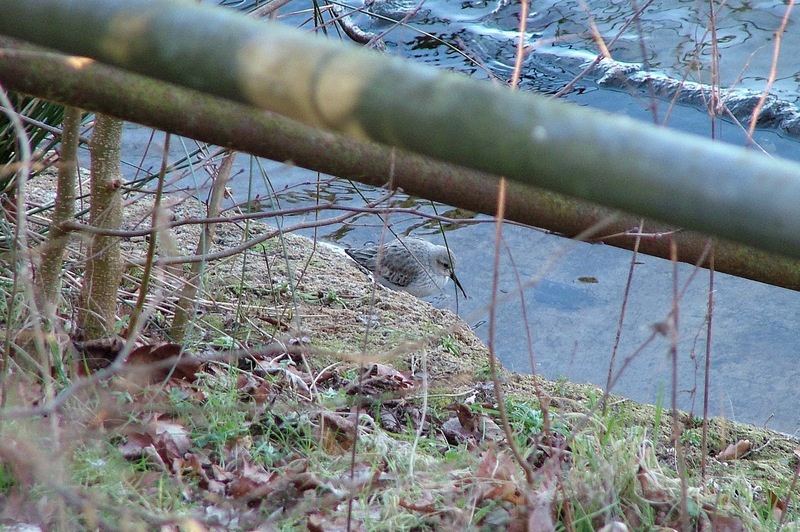 Dunlins had been at Beddington the day before so it was no surprise to find one – although its location was a bit unusual. We don’t normally see them on the edge of the boating lake. After a few minutes it flew off in the direction of the Water Colour Lagoons. 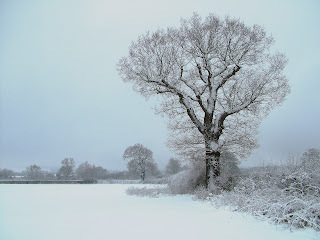 The well publicised snow arrived with a vengeance overnight last night. As a result, this morning turned out to be one of the best visits I've had on my local patch. I thoroughly enjoyed the three-and-a-half hours I spent walking round reserve. 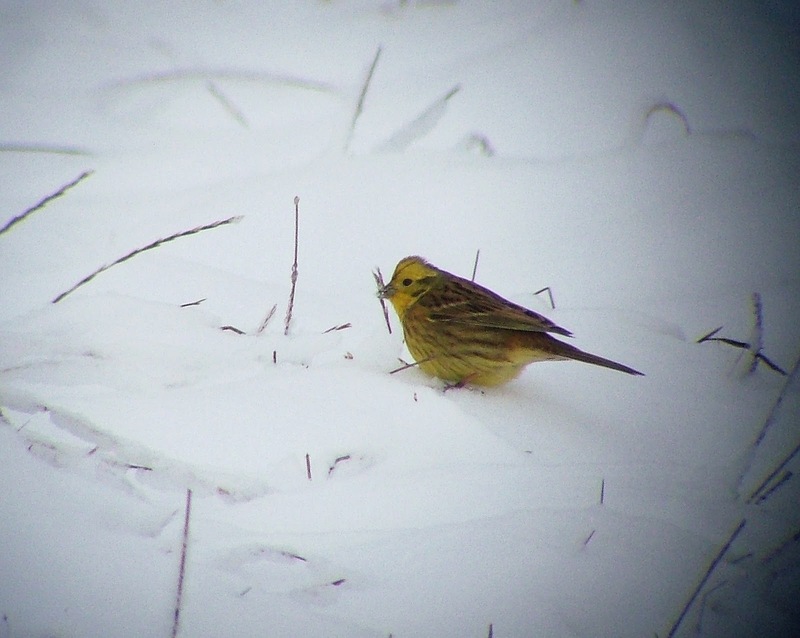 Snow and birding go well together. For one thing, you can spot the birds easier against the white background, and the bad weather often encourages some decent species to drop in or stay over. 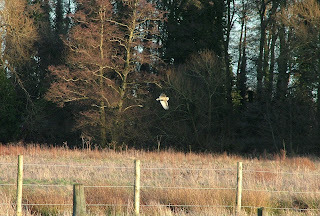 Typically, I was out all day yesterday so missed seeing a Curlew and I hoped it would still be around. 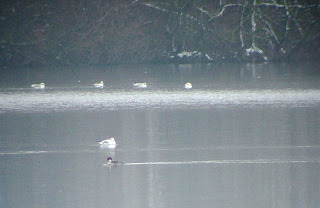 I got to Spynes Mere at 9.00am and immediately spotted four Dunlin on the frozen lake. They didn’t stay long, flying off west within about a minute of me seeing them. A good start. I ventured round to Mercer’s West and soon found four Pintail – three drakes and a female, plus the Goldeneye that has been resident for the past few weeks. No sign of the Curlew, though. I headed south in the direction of Mercer’s Farm, but had a look over at the north side of Mercer’s West first, and there was the Curlew, my first of the year, probing around in the snowy bank of the lake. Keeping it company amongst the Canada Geese, Lapwings and numerous gulls was a Common Snipe and a Green Sandpiper (another year tick). This wintery session was going well. There was no sign of the resident Little Owl in the oak tree along the footpath to Mercer’s Farm, but seven Yellowhammer were feeding in the snow. Over at Mercer’s Lake nothing much was happening, a solitary Wigeon being the bird of note, so I ventured over to the car park area, where I saw a Skylark fly over, plus a Treecreeper. 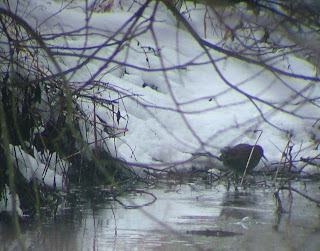 I trudged back through the thick snow to the car and drove round to the Fordbridge next to the Water Colour housing complex. 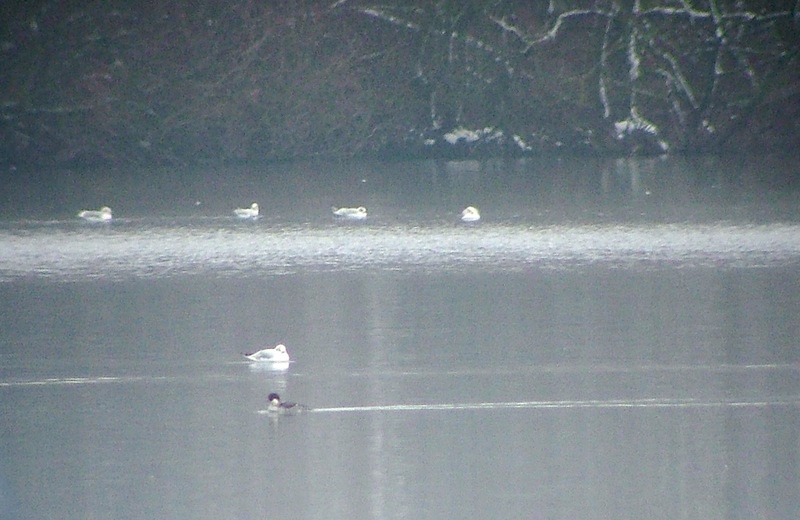 A quick look over at the western end of Mercer’s Lake revealed a red-head Smew. Down in the brook at the bridge I was pleased to find a Water Rail feeding in the water, plus two more Common Snipe. I was hoping for a Kingfisher but couldn’t find one. 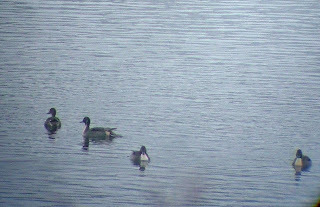 The two Lagoons didn’t reveal much and neither did The Moors, apart from plenty of Canada Geese, a Grey Heron, some Shoveler ducks and Teal. As I walked back to the car, via Cormongers Lane, two Egyptian Geese flew over and a Kestrel was perched on a telegraph pole. It had been a good morning. It's all there to be found, Neil and once the thaw starts, all those displaced birds will be on the move again. I reckon we are due for Golden Plover and Goosander this week!